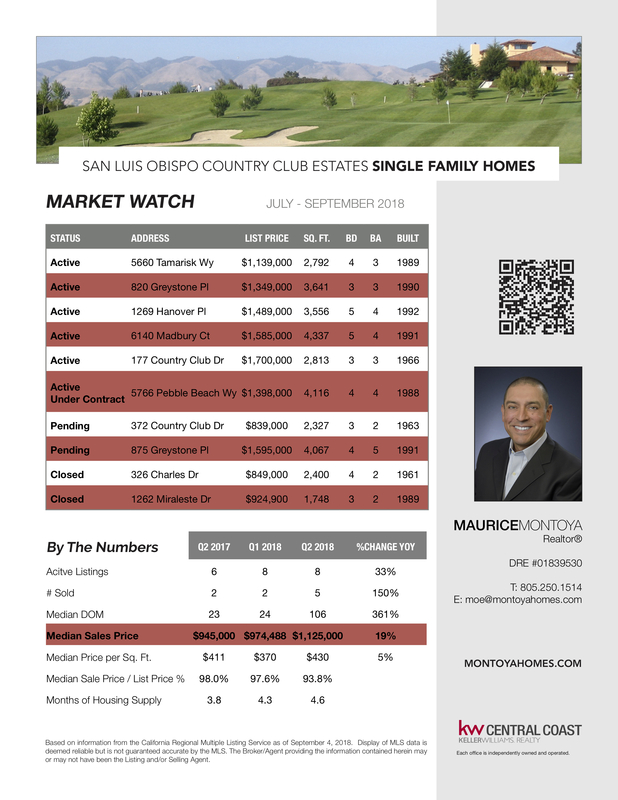 Here is your September 2018 market watch for San Luis Obispo Country Club Estates. See active listings, Pending, and Sold Properties on this printable report. Also take a look at the quarterly numbers.